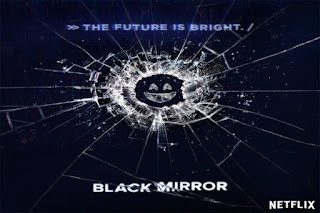 Black Mirror season three was released last week on +Netflix US & Canada and is a modern day Twilight Zone for today's technology reliant audience. Topics like social media and the need for acceptance it creates, perception of others based on environment and outside influences and some really creepy VR gaming that makes you want to stick to whatever current gen console you have now. The underlying commentary about today's society and ever changing beliefs still exists in every episode. Whether you agree with them or not is up to you but stories like these are made to make people think and reflect on what is being shown to you and where we could possibly be heading with technology and culture. Check out Black Mirror if you haven't yet.